- Looks like Nissan will have a new "CUV". Could it be the next Juke? - I think we will see the BMW i8 Spider and the X2. - Who knows about Chevrolet. 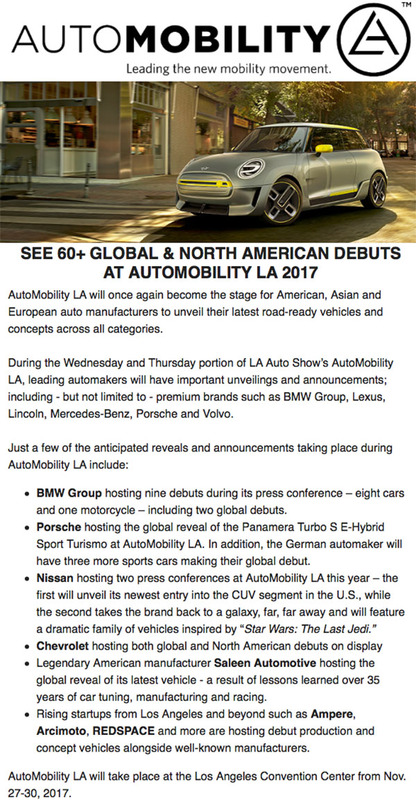 "Global and North American" debuts. Of course I will be there and report from the Show Press days. The small Nissan entry level CUV will be the Brazilian made Kicks. Assume Chevrolet will be bringing the new (Acadia based) Trailblazer to the show. Silverado will be the star of Detroit. Revised Malibu? Really, who cares!